The present report finalizes the result of the research that was organized on the basis of the decisions of the Asia-Pacific regional asembly of the UIC. 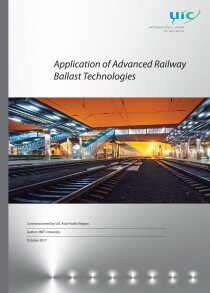 The background of the topic is of considerable importance for construction and maintenance of rail infrastructure under the conditions when roadbed design uses more and more geosynthetics materials. Advantage of those materials is the capacity to efficiently change the properties of roadbed soils in exact place for required features as geosynthetics provides roadbed with more stability. Geosynthetics includes a wide range of materials used for different purposes, so the efficiency of their use depends largely on the correctness of the choice of exact material and estimated calculated parameters. So the exact subject of the research was formulated as the use of geosynthetics materials forrein forcement of the roadbed of railways. The objective of the research was to edit recommendations on the process of selecting the right geosynthetics material for reinforcement of the roadbed, as well as to edit standard solutions for different conditions of the use of geosynthetic materials. reduce total expenditures for maintenance of rail track. In water evacuating, protective and reinforcing facilities. The technical recommendations were edited with regards to geosynthetics, used for reinforcement of the roadbed depending on their purpose, place of mounting, and type of constructive element. The practices of Russia and, to some extent, of Kazakhstan were studied, references to the experience of other countries were used as well. The developed recommendations might be of practical importance for planning of construction and maintenance works at railways of Asia-Pacific members of the UIC.